Being exposed to a cold temperature, warm water becomes a necessity. Thus, water heater maintenance is an essential to ensure the durability of your heating system. Proper maintenance of the water heater system at your home can ensure that it will last, and it can prevent from spending more. Save the hassle and expenses of a premature replacement by doing easy water heater maintenance. It takes a little effort and patience to keep your heater working efficiently. The repairs are simple and easy to execute. Prior to the work maintenance, check the pressure valve. Both gas and electric water heaters have an attached safety device called temperature and pressure relief valve, or T&P. When the tank becomes overpressurized, the relief valve opens and releases the pressure. If the valve does not operate well, the tank can be over pressurized and explode. Always wear your personal protective equipment (PPE), such as goggles, gloves, and protective clothes. If you are using an electric water heater system, turn off the electricity to the water heater. If you are using a gas water heater system, extinguish the pilot light. Do not forget to shut off the cold-water inlet to the water heater. Position a bucket under the temperature and pressure relief device to catch the water from it. Pull the tip of the lever on the valve. You will hear a slight hush of air or see some water and vapor that comes out through the pressure relief valve. If you do not hear a hush or see some water, drain the tank and replace the valve. If it happens that you need to replace the valve, remove the discharge pipe and unscrew the valve from the water heater. You have to take note that the stem length, and buy the exact replacement. In line with maintaining a good condition of the water heater system, you have to flush the tank. There will be sediment buildup in the tank that can reduce the energy efficiency of the water heater system, and it can also clog the water lines. It is a must to avoid these problems and increase the life and efficiency of your water heater system unit by flushing the tank every time you check the pressure relief valve. Connect a garden hose to the drain valve of the tank. You have to locate the draining end of the hose in an area that cannot be adversely affected by the scalding hot water. When the pressure relief valve is open, open the drain valve and allow the tank to completely drain the water. When you completely drain the tank, it ensures that you have removed all of the possible sediments that have accumulated. Close the tank drain valve, disconnect the garden hose from the valve and close the pressure relief valve. Open all the hot-water spigots in the house, and turn the cold-water inlet to the tank. Close each hot-water spigot as the water begins to flow from it. After all the hot-water spigots are closed, turn on the electricity to the water heater, or turn the gas switch to run. If you are using a gas water heater, there is only one simple reminder of how to light the pilot. When the gas valve in an on position and the control knob is set to ‘pilot’, press the knob and push the igniter button. The light will blink when it is lit and you will see a small flame through the view pane. Set the temperature to 120 degrees Fahrenheit. However, you should be cautious in lighting the pilot. Take caution by reading and following the manufacturer’s instructions on how to light the pilot, and for more detailed instructions on lighting the pilot. You should remember that new water heater system models have a smaller pilot light, which can be hard to see. If so, darken the room and look carefully through the sight glass in order to see the pilot light. Moreover, the first attempt the gas water heater is lit, it may produce condensation. Condensation is normal and it will go away once the water heater has reached the normal operating temperature. You may hear dripping sounds or see a small puddle of water in the drain pan. If you are performing water heater maintenance, there are three simple steps that you have to remember before connecting the electric power. The most common problem with electric water heaters is when you turn the power one before the tank is completely full of water. When you turned on the power before the tank is full, the upper heating element will burn out, and you will have no hot water until the upper element is replaced. When there is a need to replace the top or bottom healing element, disconnect the power to the unit and drain the water from the heater tank. Disconnect the wires from the element and loosen it using an element wrench. Unscrew the element and pull it straight out. Insert the new element in its place and tighten using the element wrench. Reconnect the wiring and prepare to refill the tank. Open a hot-water faucet all the way and let the water run for 3 minutes. This will ensure that all of the air has been removed and the tank is completely full of water. When the tank is full, turn the power on. If you still do not have hot water after two hours, check it again to make sure that the unit is getting the right amount of voltage. No electric power or the wrong voltage can cause electric water heater problems, call an electrician if you are experiencing wiring or power problems. 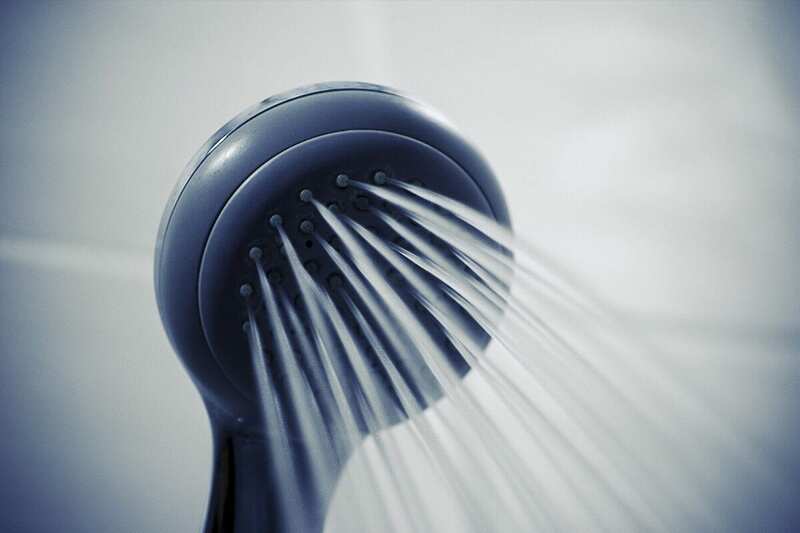 Proper Water Heater Maintenance can save you time and money. By doing the easy steps as shown above, you can ensure that your water heater lasts for many years to come.